When he was merely six years old, cooking books were at the top of the wish list of chef de cuisine Arturo Dalhuisen of The White Room. After his chefs training in Almelo, the ambitious cook chose a Star course in Den Bosch, where chefs lay the foundation to become MasterChef within three years. At an early age, Dalhuisen already had won multiple culinary competitions for young chefs; in 2010 Dalhuisen was awarded the National Championship Young Chefs. In addition to working at De Leest*** he kept developing himself by doing internships with renowned Michelin starred chefs. 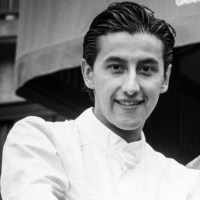 Arturo was featured in “De Nieuwe Garde”, a culinary documentary following eight young Dutch chefs on their road to success. For Dalhuisen, the quality and pureness of the products that are used in the dishes take the lead role. The chef can be found picking herbs – among which his favourite Oxalis – in the woods near his hometown Holten on a regular basis. Dalhuisen has left triple Michelin star De Leest to lead the team at restaurant The White Room by NH Collection Grand Hotel Krasnapolsky, which received a Michelin star in December 2017, and assert his creativity there.